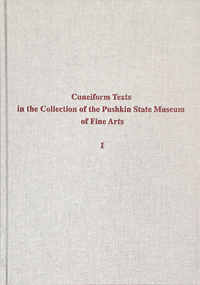 ﻿With this volume we begin publication of the cuneiform collection of the Pushkin State Museum of Fine Arts in Moscow. 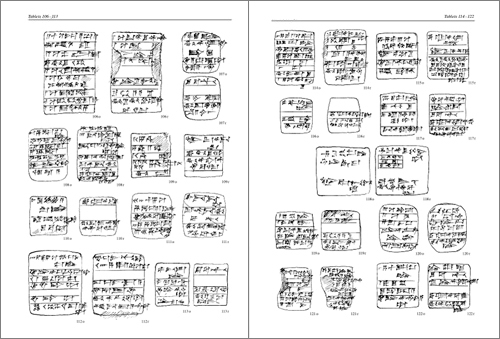 Despite the relatively small size of the collection (about 1760 tablets), it is a comprehensive representation of the various chronological periods of the ancient Near East, from the pre-Sargonic (the middle of the third millennium B.C.E.) to and including the Neo-Babylonian and Persian (the sixth and fifth centuries B.C.E.). The collection is also diverse in content,featuring administrative and economic documents, legal and literary texts, and letters. The core of the museum collection is 1320 tablets from the holdings of Nikolay Likhachev, a scholar and a passionate collector at the close of the nineteenth and the beginning of the twentieth century. He was the first person in Russia to begin collecting cuneiform objects systematically. To a great degree we have Nikolay Likhachev to thank for the richness of the cuneiform collections in Russian museums. After the 1917 revolution Likhachev’s holdings were acquired by the government and divided into two parts. One part remained in Saint Petersburg and now constitutes the basis of the cuneiform collection of the Hermitage Museum. The other part eventually reached Moscow, arriving at our museum in 1924. We also gratefully acknowledge that our collection has benefited from the contributions of another Russian scholar and collector, Vladimir Golenishchev, whose tablets and objects of ancient Near Eastern art made their way into the museum in 1912. ﻿Texts from the Ur III period in the collection of the Pushkin State Museum will be published in four volumes. The first two volumes will include 455 administrative documents from Tello, previously unpublished. They date to the period starting from the reign of the second king of the third dynasty of Ur, Shulgi (2093–2046 B.C.E), to the reign of the last king of this dynasty, Ibbi-Suen (2027–2003 B.C.E). The first volume features 251 documents. These texts fall into two categories: records of grain transactions and records of the distribution of food supplies. The second volume will contain the remaining 204 texts from Tello, arranged in ten categories according to subject. This thematic arrangement is, however, somewhat controversial: in many instances, the subject of a document allows it to be placed in two or more categories. All the texts are transliterated, and autographs are provided. There are also general indexes and indexes of anthroponyms, theonyms, and toponyms, as well as seal legends, chronological tables, and a concordance of the catalogue numbers and the museum inventory numbers. 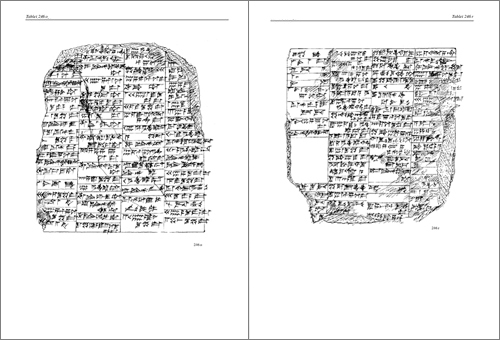 The cuneiform texts from the temple archive of Umma form a separate group in the collection; they cover a period of almost one hundred years and number 666 documents. This volume will include 312 unpublished texts and 354 texts published by M. Nikolsky in 1915. The catalogue will include transliterations, autographs, and a new index, concordance, and glossary. The same applies to the texts from Puzriš-Dagan. The forty unpublished texts from the collection of the museum will be published along with eighty-three documents from Nikolsky’s publication of 1915. 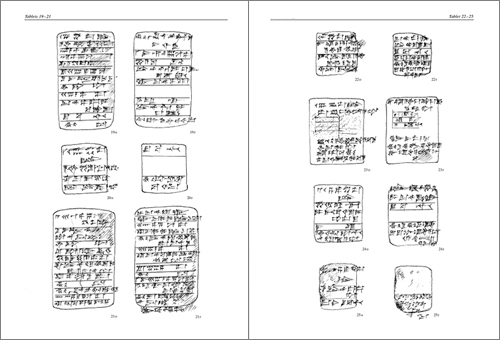 The volume will also contain texts of unknown provenance from the period of third dynasty of Ur. 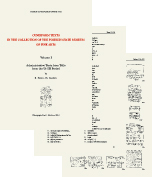 All the texts from the Ur III period published in the present series belong to the same temple archives as other documents published in catalogues by Russian and foreign scholars, so we hope that our publication of the documents from the cuneiform collection of the Pushkin Museum from the same period will at some extent complement existing catalogues.